According to data from the National Institute of Mental Health (NIMH), the prevalence of anxiety disorders in the U.S. may be as high as 40 million, or about 18 percent of the population over the age of 18, making it the most common mental illness in the nation., This includes generalized anxiety disorder, social anxiety and panic disorder. Research published in 2015 also noted that anxiety (characterized by constant and overwhelming worry and fear) is becoming increasingly prevalent in the U.S., presently eclipsing all forms of cancer by 800 percent. The conventional approach to anxiety and depression treatment typically involves ineffective and brain-altering drugs. Interestingly, two recent studies suggest suggest psilocybin, the psychoactive substance in “magic mushrooms”, can have truly profound benefits for cancer patients struggling with anxiety and depression. Psilocybin, like marijuana, is a Schedule 1 substance under the Controlled Substances Act., The mushrooms are typically ingested in their fresh or dried form, or can be made into tea. Large doses have been known to induce panic and/or psychosis. Last year, London-based psychiatrist James Rucker penned a commentary in the British Medical Journal (BMJ), arguing for the reclassification of LSD and magic mushrooms — which he notes are far less addictive and harmful than heroin and cocaine — in order to make it easier to conduct much needed medical research on them. In a recent Time Magazine article, Dinah Bazer recounts her personal experience with psilocybin. A cancer survivor struggling with severe anxiety (driven by her fear of a recurrence), Bazer agreed to participate in a magic mushroom trial conducted at the NYU Langone Medical Center. One of the cancer patients who took part in the NYU trial was Patrick Mettes, a television news director. His magic mushroom trip helped him make peace with and overcome his fear of death, his widow told CNN. “… [T]he high-dose psilocybin resulted in significant decreases in both clinician-rated and self-reported measures of depressed mood and anxiety among the patients. The effects lasted in 78 percent of patients for depression and 83 percent for anxiety in a follow-up assessment six months later. Regardless of one’s opinion about hallucinogens, it’s pretty remarkable to consider that a single dose of a substance can result in several months’ worth of relief. Some patients even report being anxiety-free four years later. 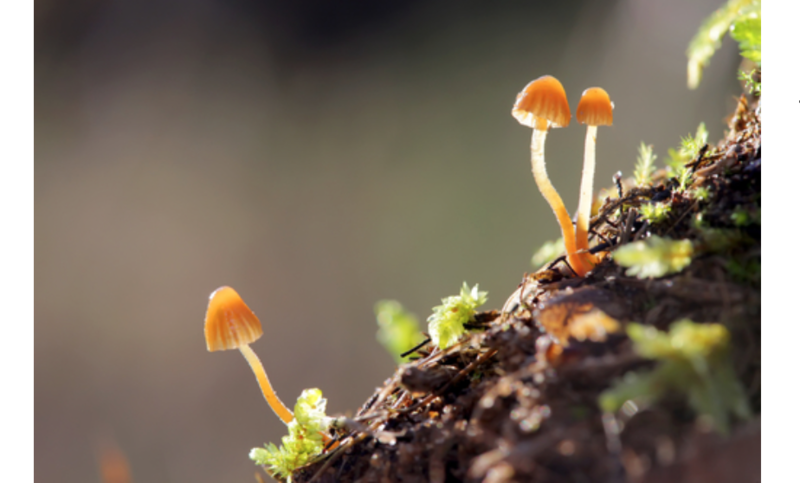 Other recent research has confirmed that the effects of controlled psilocybin administration indeed appears to be long-lasting in a majority of cases. What might account for such dramatic, near-instantaneous and long-lasting transformation from anxiety to inner peace? According to researchers, the freedom from anxiety and depression appears to be the result of spiritual reconnection. The feeling of love and being “one” with everything results in alterations in the brain itself — a mechanism ascribed to neuroplasticity, where your brain changes in accordance to experience. Indeed, a majority of the participants ranked it among “the most meaningful” experiences of their lives. Ayahuasca is another drug commonly used for similar, spiritual purposes. As with magic mushrooms, ayahuasca users often have positive mental and emotional breakthroughs, brought on by the overwhelming depth of the spiritual experience. That said, it’s important to realize that taking a hallucinogen like magic mushrooms at your own behest could be ill advised. “Very quickly … she was overcome with a feeling of ‘total, absolute, undeniable despair in the worst way. It almost makes me cry thinking about it.’ The scene in her mind … was of ‘massive boulders of very bland, earthy colors. Huge, massive rocks with very muscular men with pickaxes, just chipping away at these boulders. 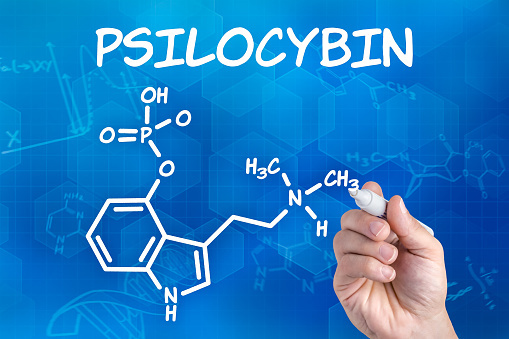 For that to occur, psilocybin would need to be rescheduled. The potential for psilocybin to do a great deal of good certainly appears to be there. Recent studies have shown it may also help with smoking cessation and alcohol addiction. According to Dr. Jeffrey Lieberman, former president of the American Psychiatric Association, and Dr. Daniel Shalev of the New York State Psychiatric Institute — both of whom endorsed the two studies — noted that these studies provide “a model for revisiting criminalized compounds of interest in a safe, ethical way,” and that if research restrictions were to be loosened, “there is much potential for new scientific insights and clinical applications” for psilocybin. Mushrooms contain some of the most potent natural medicines on the planet, and most are NOT psychoactive. That said, some, like psilocybin, can cause hallucinations, delusions and/or visual disorientation, so if you’re picking your own mushrooms, it’s critical to know what you’re looking for. Some species of mushroom are outright toxic and can cause death. The North American Mycological Association offers critical information on a number of toxic mushrooms and the symptoms they cause. Cordyceps, also called caterpillar fungus or Tochukasu, is a favorite of athletes because it increases ATP production, strength and endurance. It also has anti-aging, anti-inflammatory and anti-cancer effects.